While the idea is open to criticism, I think we can accurately talk about the Church as a “voluntary association.” The Church doesn’t understand itself voluntary in the sense that a secular fraternal organization does. The Church is a voluntary association because we respond freely to God’s grace. Moving from theology to law, this voluntary quality of the Church is why laws about freedom of association matter to Orthodox Christians. Laws that compel, or deny, right of citizens to voluntarily join gather together hamper (and might even undermine) the ability of Christians to respond freely to “gather together as the Church” (1 Corinthians 14:26). Ultimately no government can compel my obedience. Yes, the civil authority can prevent me from gathering with the Church but it can’t prevent me from joining the Church in heaven. In fact, as the martyrs testify, it might even speed me along the way to the latter as it seeks to prevent the former. That said, it seems to me better to me that the Church has the civil freedom to respond to God’s grace. This means not only the freedom to worship God as we see fit inside the church building but also to evangelize in the Public Square.and shape our personal and professional lives according to the Gospel. It also must mean the freedom to shape our personal and professional lives according to the Gospel. Theologically as much as civilly,”To be free, by definition, is to make choices that others may not favor.” And let’s not be naive, Christians aren’t immune from the temptation to misuse our “freedom of speech and the press, freedom of association.” Christians like everyone else make decisions that “lead to unfairness” for others. Without economic freedom, Orthodox Christians lose the ability to shape a significant portion of our lives according to the Gospel. This is why, even when we disagree on moral grounds with the decisions they make, it is imperative that we defended the economic freedom of others. 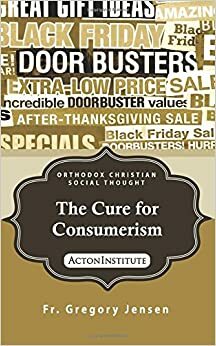 For all that this defense of economic freedom of others might seem a distraction from the Gospel, it is nevertheless an important, if admitted secondary, part of the Orthodox Church‘s moral witness.